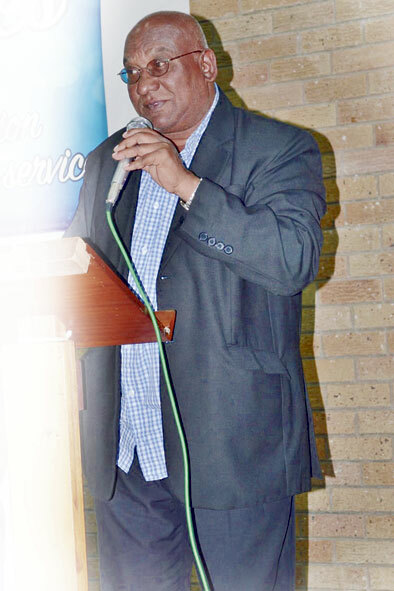 Reverend Livingstone Jacob is a pastor from the Baptist Convention of South Africa and he is also the director of the Children’s Rights Ministry, a non-governmental church-based organisation that fights for the rights of children in KZN. He is also a community worker for the Croftdene Civic and Ratepayers Association. Rev. Jacob is a former sheet metal worker and boilermaker. The Chatsworth Tabloid had the opportunity to speak to Rev. Jacob about his life and work. Briefly tell us about the Children’s Rights Ministry and the work that you do? There is a lot of work that we do. We concentrate on the issues of education, health, welfare, justice, crime and children’s issues. We use the see, judge and act method. Those are the main focus areas of our work through the children’s rights ministry. Recently we have been fighting to help children gain admission to school. We believe that education should be free for our children. Poor children must be able to attend schools without school fees and without any kind of discrimination or segregation. One of our biggest issues is the fact that Grade R’s are required to have money in order to gain admittance to school. If Lotus Primary is able to provide free education, why not other schools from Chatsworth and surrounding areas? At the moment we are working with Nomzamo Mandela Primary School, where we are providing literacy, numeracy and life-skills programmes. CT: How did you get involved in community work? LJ: I started community work 40-years-ago. I was a volunteer for Croftdene Residents Association. At the association, we conducted civic work on issues such as water, lights, pension and grants. Myself and Lawrence Samson were working on the ground as volunteers and helping the community on a grass-roots level with all kinds of community issues. During those days, many political movements were banned and we were doing some political and civic through the Croftdene Residents Association. Croftdene Residents Association was part of the Chatsworth Housing Action Committee in Durban. We also did advocacy and political work and teaching our people about their democratic rights. In 1990, I started the Children’s Rights Ministry. The ministry works with children’s issues and assists street children in Durban. LJ: We have an education programme. We deal with issues such as HIV/Aids awareness, teenage sexuality, child abuse, child prostitution, self-esteem, smoking, alcohol and career planning. Even though the Children’s Rights Ministry is a David like organisation fighting against the Goliath’s of the world, we were one of the organisations which fought for anti-retroviral drugs to be made available at RK Khan hospital. We meet with HIV/Aids patients daily. For us it is a social justice struggle. We believe that health rights are human rights. We follow the teachings and methods of Paul Farmer who is a doctor and anthropologist. CT: As a church, what role do you play in the society? LJ: We did have a church in Welbedacht that did social justice work fighting against oppression and dehumanisation of our people. I made a significant contribution to the Baptist Church. I am the only Indian pastor, the church people love me a lot and I love the leadership of the church. One of the projects of the Baptist Church is the HIV/Aids issue.We have an HIV/Aids desk and conduct pastoral work among HIV/Aids patients. At a social justice level, I have presented many papers on social justice within the church and the fight for freedom, justice, peace, equality and human rights. I use the strategies and teachings of Martin Luther King, Malcolm X, Ghandi, black liberation theologian James Cone and liberation theologian Gustavo Gutierrez. CT: What do you think are the biggest challenges faced by the community today? LJ: For me, it’s the issue of crime, poverty, unemployment, injustices and inequalities. There is too much of crime in Chatsworth. Last year, at least five people died in Silverglen. It might seem that everything is fine in Chatsworth at face value, but deep down, people are poor and struggling to pay their bills. I don’t want to interpret the world, I want to change the world. CT: What role can we as the community play to make the world a better place? LJ: 20-years-ago, we were a caring community and society. We cared for our people and neighbours. Today, we have become too individualistic and are only out there for ourselves. It’s all about ‘’me,me,me’’ rather than caring. There is a lack of empathy and sympathy. In every religion, caring is an important aspect, yet we have failed our people miserably. We have become too individualistic and self-centred. I hope that young people can become caring again and have mercy and love for our fellow human beings. This is what drove me into the ministry and to fight for social justice. The love for people has drawn me towards this.